Welcome to the OSU-CERTS website! In September 2013, Ohio State received an $18.7 million grant to establish and operate The Ohio State University Center of Excellence in Regulatory Tobacco Science (OSU-CERTS). The overall theme of OSU-CERTS is to understand the reasons for underlying tobacco-product preferences, especially dual and poly-use, and how these reasons influence use, toxic exposure and dependence/cessation, in an environment of ever-changing diverse types of tobacco products. These findings will help the Food and Drug Administration (FDA) put science behind its new role in regulating tobacco. The OSU-CERTS broad research program takes into account the biological, psychological, economic and public health implications associated with tobacco use and the industry’s marketing of products to consumers. Eighteen scientists from six OSU colleges and the Comprehensive Cancer Center (OSU-CCC) compose the core of OSU-CERTS. In addition, there are collaborators from four other universities and organizations. Ohio State’s center is one of 14 established nationally under a new federal initiative, called the Tobacco Centers of Regulatory Science program. The National Institutes of Health and FDA are collaborating to ensure that the FDA’s regulation of tobacco is based on sound and relevant scientific evidence. 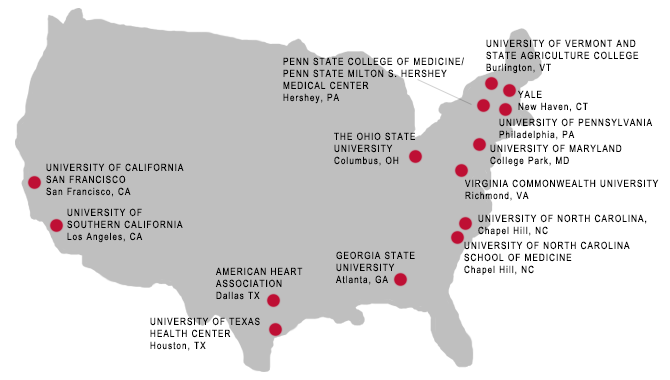 The National Cancer Institute administers OSU-CERTS funding.